Who Do I Call When I Need a Residential Locksmith in Chicago, IL? Homeowners have long trusted Chitown Locksmith for affordable rates on all types of residential locksmith services. Whether you're locked out of your home, are feeling less-than-safe due to faulty locks or a compromised lock, or you just need a spare key or two, we're the right call. 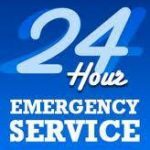 We can come out 24/7 for emergencies and during regular business hours for non-emergencies. Can Locksmithing Services Improve the Security of My Home? Absolutely- changing your locks if they've been compromised, rekeying existing locks, or adding security features like deadbolts, high-security locks, buzzer systems, cameras, CCTV, and intercoms can significantly improve the security of your home environment. At Chitown Locksmith, we sell top-of-the-line products that we are proud to recommend to our customers; we offer them because we genuinely believe they're the best products to meet your needs and fit your budget. Can I Call Chitown Locksmith For an Emergency Lockout? Yes, we encourage you to do so immediately upon finding out you're locked out of your home. We'll dispatch a locksmith immediately and advise that you find a safe place to wait while we're en route. If you're able to wait comfortably in a locked vehicle, that's the safest place to remain- we'll be there shortly to help you regain entrance to your home. You can take proactive measure in case of a future lockout by storing our number in your phone's contact list under "Residential Locksmith Chicago, IL". Do I Have to Worry About Chitown's Technicians? Our locksmiths are not only highly experienced, but they are also carefully screened, bonded, licensed, and insured. The professionalism and responsiveness of our techs are unmatched by any other Chicago locksmith company- so rest easy when you reach for the phone to call for a residential locksmith in Chicago, IL. We are the right locksmith for all of your residential key & lock and security needs. Aside From Lockouts, Why Else Would I Need a Locksmith? Why Do Rates Vary So Much From One Locksmith to Another? Plainly speaking, not all locksmiths have your best interest as their prime focus of work. At Chitown Locksmith, we believe our customers deserve exceptional quality service at a fair price- that's why you'll find reviews and testimonials left by our customers speak to the value found in choosing us as their locksmith. Before you call another residential locksmith in Chicago, IL, reach out to us for reliable, cost-effective services geared toward meeting your needs- and your budget.